BONUS: The first five people who reply to this email will get an Audible code to download Of A Darker Void for FREE. Hit ‘reply’! New to audiobooks? 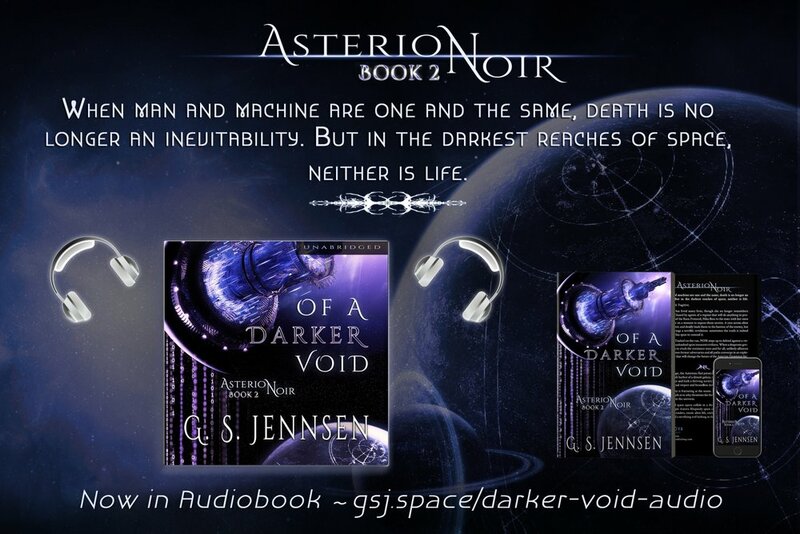 You can find all the Aurora Rhapsody and Asterion Noir novels in audiobook format on Amazon, Audible and iTunes, and feel free to contact me at gs@gsjennsen.com if you have any questions. Have you checked out Supermassive Black Holes? Get my social media posts on space, technology, sci-fi and writing without the messy privacy invasions of social media. Comment and join in on the discussion, or just keep in the know. Add the RSS feed to your reader, or subscribe to receive a twice-weekly email digest.